To say I have been out and about these last few weeks is a bit of an understatement. And while I haven’t been able to collect my thoughts and share them with you here until now, I will say that my twitter accounts (@whiskygirls and @localinfusions) have never been so active! That said, I am sorry for my recent absence and not just from my own blog but from so many of the other great whisky blogger’s blogs in the community. The GOOD: Lot’s of fantastic brands, all under one roof. Some interesting pours if you could get to those tables fast enough and then prove that you were worthy of such a pour (by the end of the night, this seemed to really come down to one basic fact: are you going to taste this or take it like a shot?) … though not in those exact words. HIGHLIGHTS: Running around the first half of the night with my good friend (and fellow whisky geek) Jonathan Wingo of Brooklyn’s Whiskey Shop and together having a beautiful moment with Jonathan Luks of Mackmyra who shared with us a taste of their Special07 bottle (that will never be sold in the USA) and another taste of their Cask Strength whisky (whose proper name didn’t make it into my notebook – my apologies) but it is also a whisky that will not make it to the US market, sadly. A proper review of this company will follow as they are most certainly worthy. 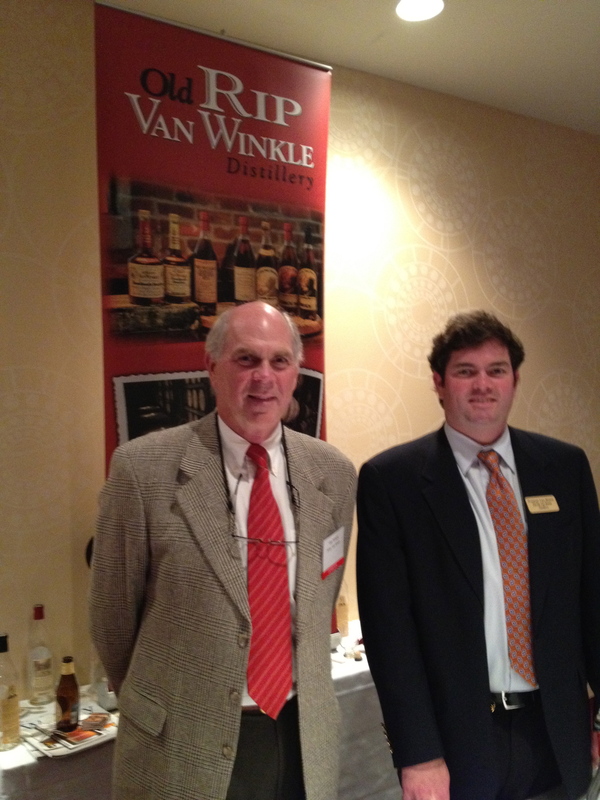 The other highlight for me was meeting Preston & Juilan Van Winkle (you know, of the Old Rip van Winkle brand). 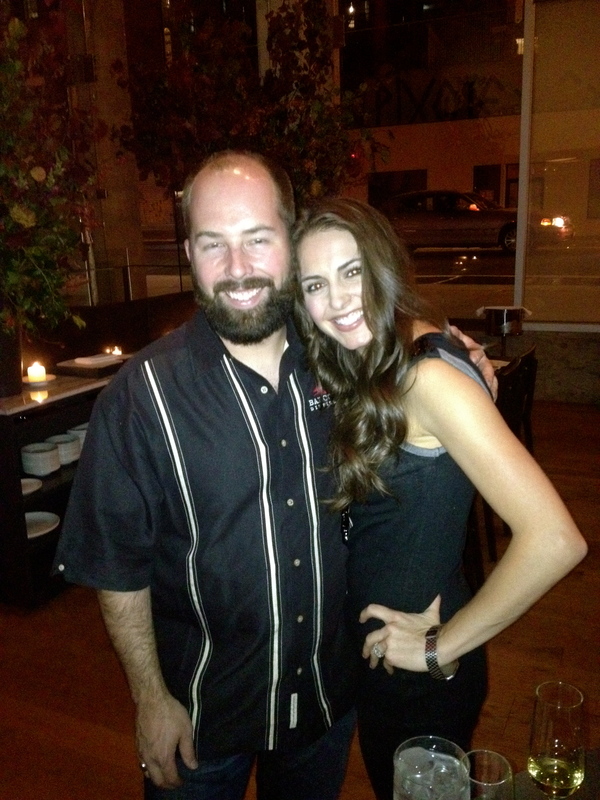 Not only were they serving their incredibly limited and incredibly delicious products but, if possible, I was more impress with them as individuals. Not pretentious, not stuffy – just easy to talk to, whisky loving, Southern boys. I was honored to share a few laughs and a few sips with these two fine gentlemen. The BAD: Too many vendors in not enough time. The food was awful and water was not easy to come by. Unfortunately, this turned out to be a recipe for disaster. People were frantically running around trying to drink every whisky they could and, aside from those in the industry, this seemed to have turned everyone into animals. Sadly, the atmosphere quickly morphed into a post-college frat party. Not. Cool. 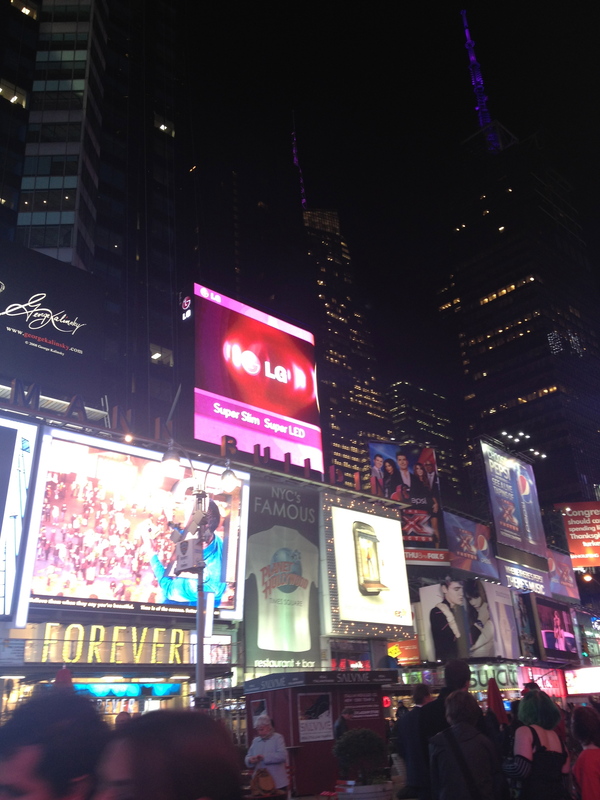 WHAT: Rodeo Bar in NYC is a Texas-style bar who has their BBQ (think Ribs & Brisket) flown in from Texas daily. Head distiller, Chip Tate, of the Texas distillery Balcones, was in town and did a very cool pairing of his Texas whiskies along side of the authentic Texas fair. 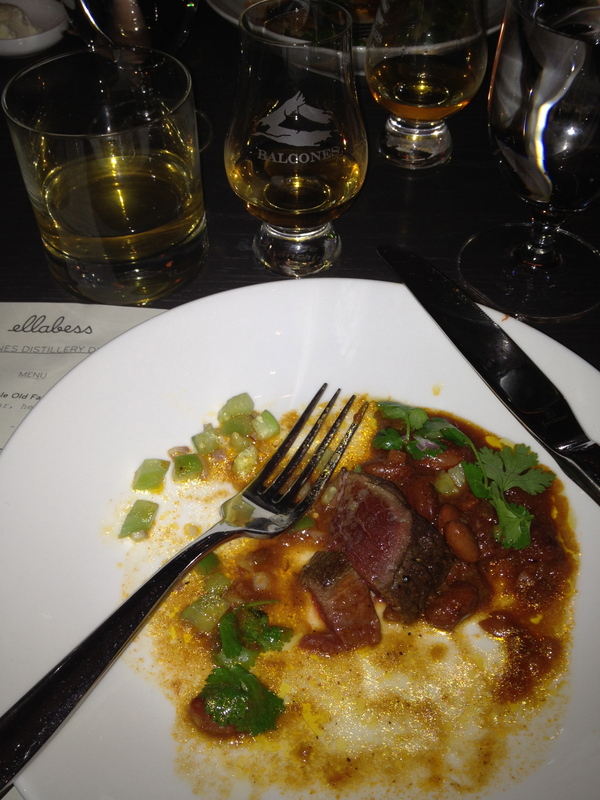 HIGHLIGHT: The BBQ ribs with Balcones Brimstone whisky. This is a blue corn whisky that has been smoked after coming off the stills and before going into the barrel with Texas Scrub Oak … the same wood that gives the meat it’s amazing smoked flavor. Picking up what I’m putting down? Heaven. 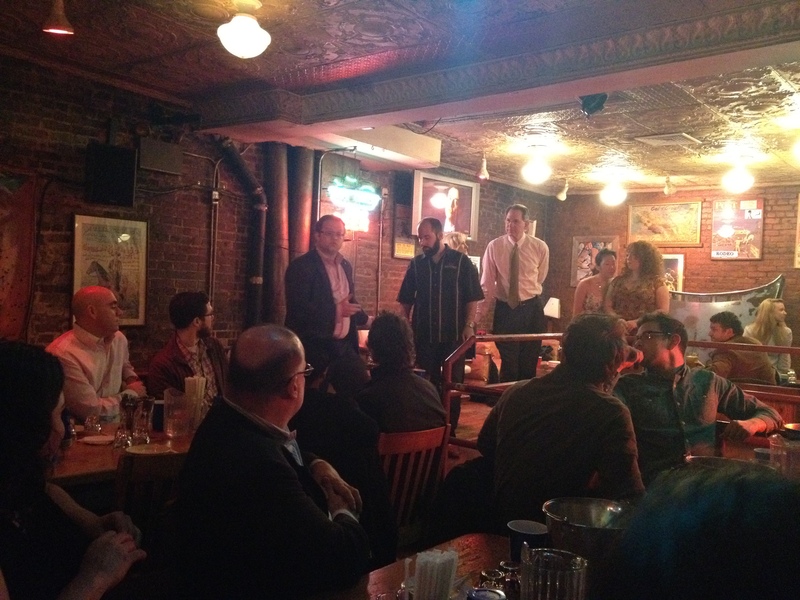 WHO: Lots of brand ambassadors, industry people, whisky enthusiasts and the NYCwhisky.com folks. Very fun! 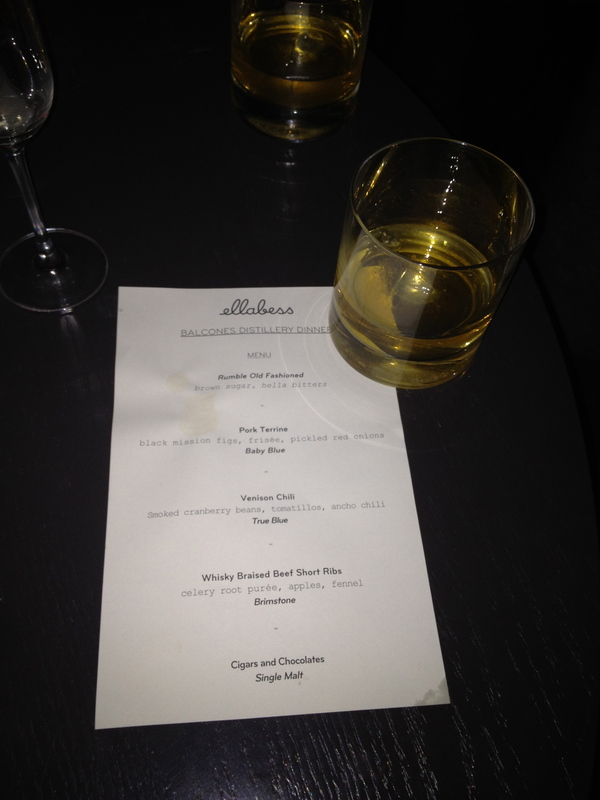 WHAT: The very chic NYC hip dining spot, Ellabess, threw a private soiree celebrating Chip’s unique whiskies. Chef Troy Unruh and his team created an exciting pairing menu using Balcones products that were timed and served just as the appropriate Balcones spirit was being poured. 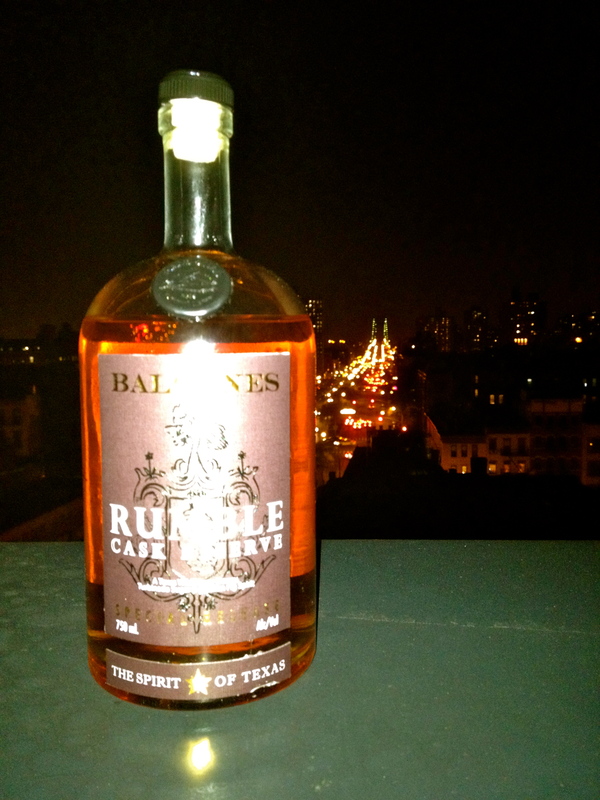 HIGHLIGHTS: The evening finished on the roof with cigars and generous pours of Balcones extremely limited Rumble Cask Reserve (a cask-strength version of the Rumble, only ~200 bottles ever made). 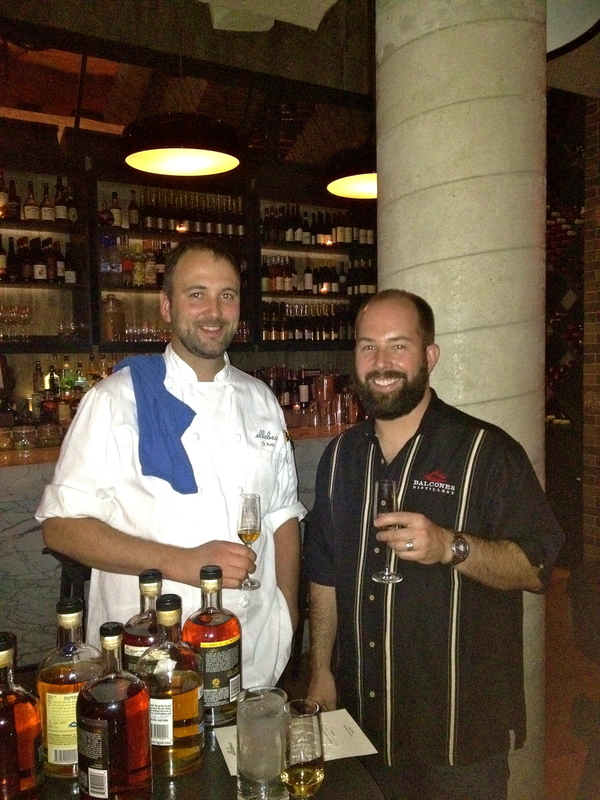 Check out this video of the chefs hard at work with Balcones’ high-quality whiskies! You are currently browsing entries tagged with WhiskyFest at The Whisky Woman.